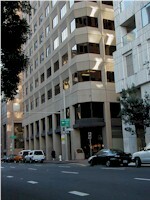 601 Montgomery Street, November 2000. The western business headquarters of the pony express were housed in a building at this site from 1860 to 1861. 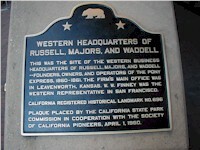 A number of other marker plaques commemorating the pony express are located on the Clay Street side of the building.